Body of work for a show titled "Returns". Yeah, though I walk. Charcoal, ink wash, conte. 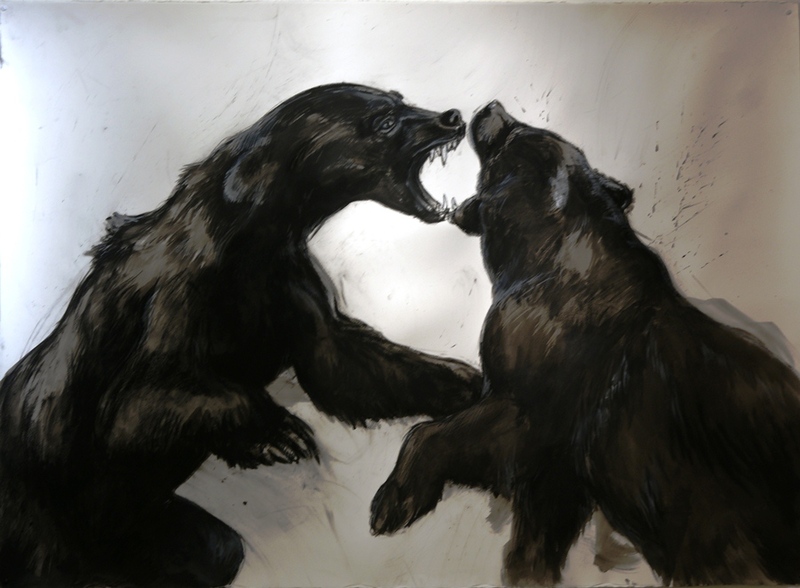 68" x 54"
Chaos and conflict: Bears. Charcoal, ink wash, conte. 54" x 74"
Chaos and conflict: Wolves. 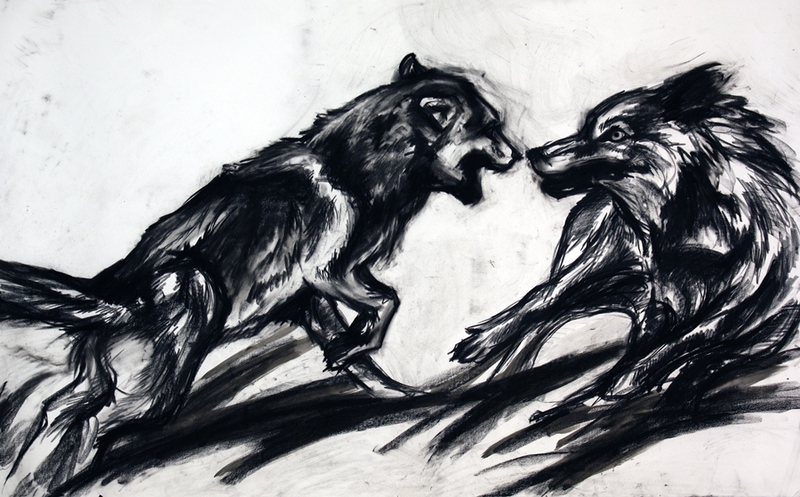 Charcoal, ink wash. 44" x 54"
Chaos and conflict: Jackals. 54" x 68"
Mountain meditation #3. 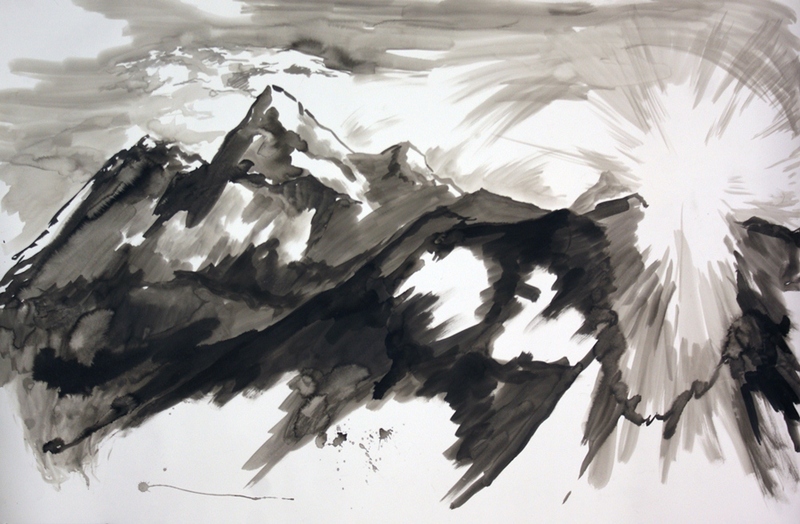 Ink wash. 44" x 55"
Mountain meditation #4. 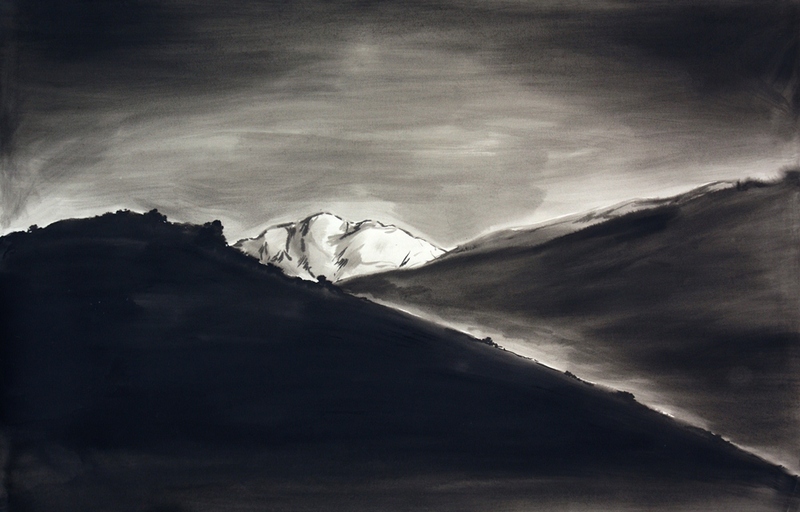 Ink wash. 44" x 55"
Mountain meditation #7. 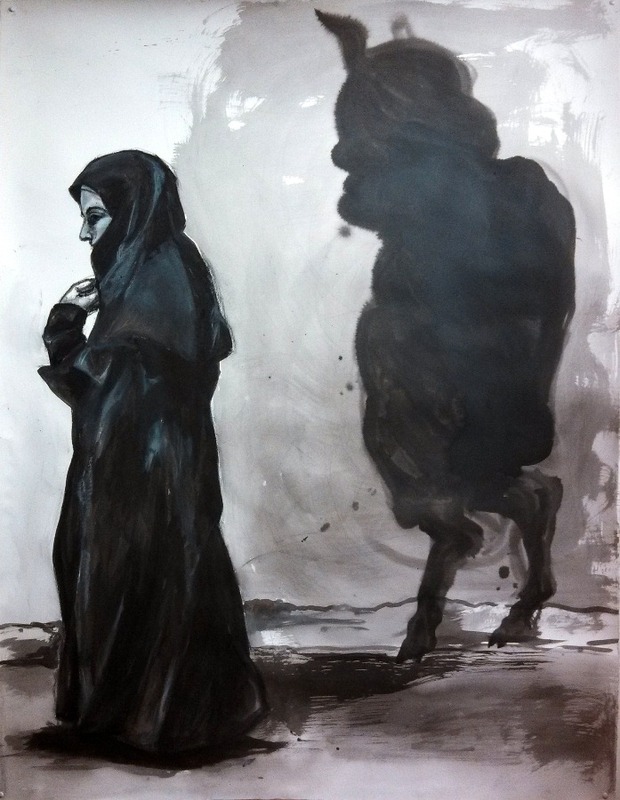 Ink wash. 44" x 55"